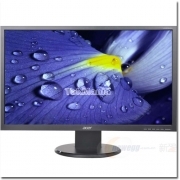 Price per Unit (piece): ..
Acer V Series monitors give you beauty you can appreciate and the value you need. They showcase captivating widescreen visuals as well as eco-conscious features, making them perfect for enjoying marvellous multimedia at home or in your office, studio or study. 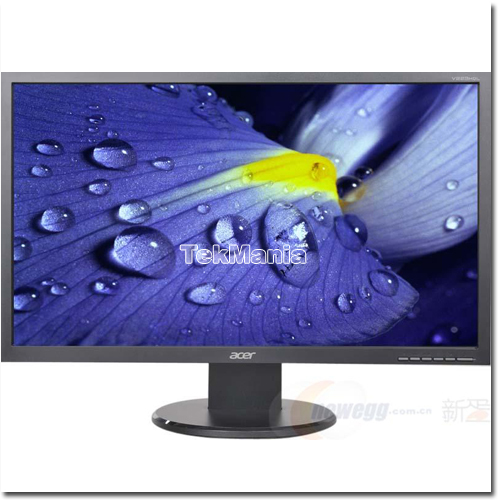 Acer V Series monitors adds elegance to any area. Whichever model you choose, you're in for beautiful views. You'll enjoy tasks and entertainment more with fine details and smooth movement, thanks to high resolutions, fast response times and superior contrast ratios. Games are more exciting and films truly cinematic when visuals are vibrant. Plus, the widescreen aspect ratio frames movies and HDTV content perfectly. Safe for you and your world, Acer V Series monitors are RoHS compliant, use mercury-free white LED backlighting1 and meet ENERGY STAR® 5.01 requirements. Acer EcoDisplay technologies deliver up to 68% power savings, further conserving energy and costs. Acer packaging is made of recyclable materials too.